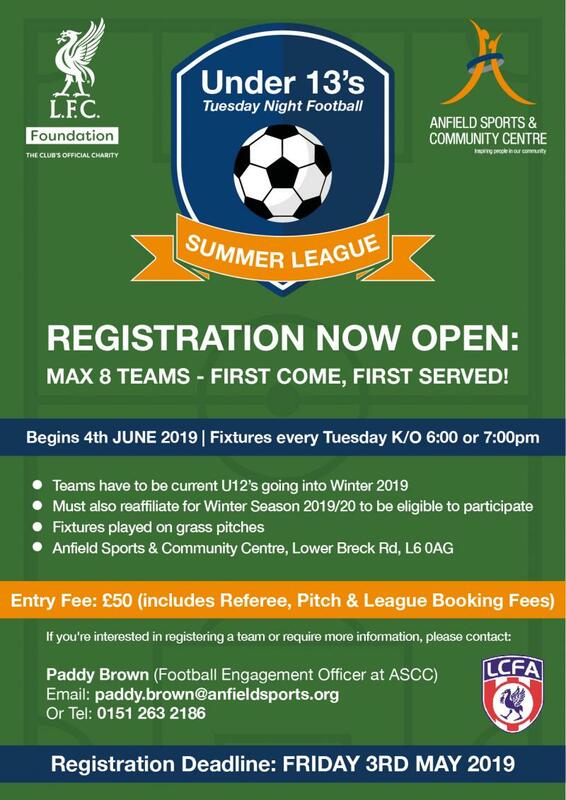 The Anfield Sports & Community Centre has launched their Junior Football Summer League, with registration open for amateur football clubs from across Merseyside to enter. 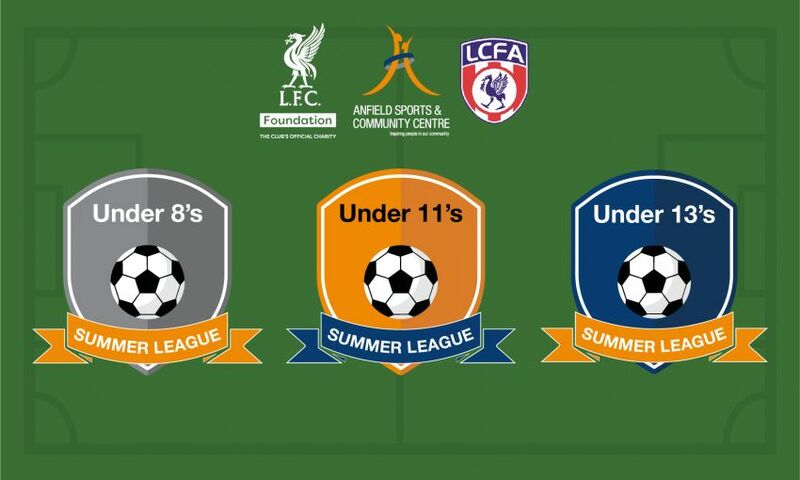 Launching in June 2019, there will be three dedicated age restricted leagues; Under 8's, Under 11's & Under 13's, with fixtures played at the community centre's 3G pitches and playing field areas every Tuesday / Thursday. 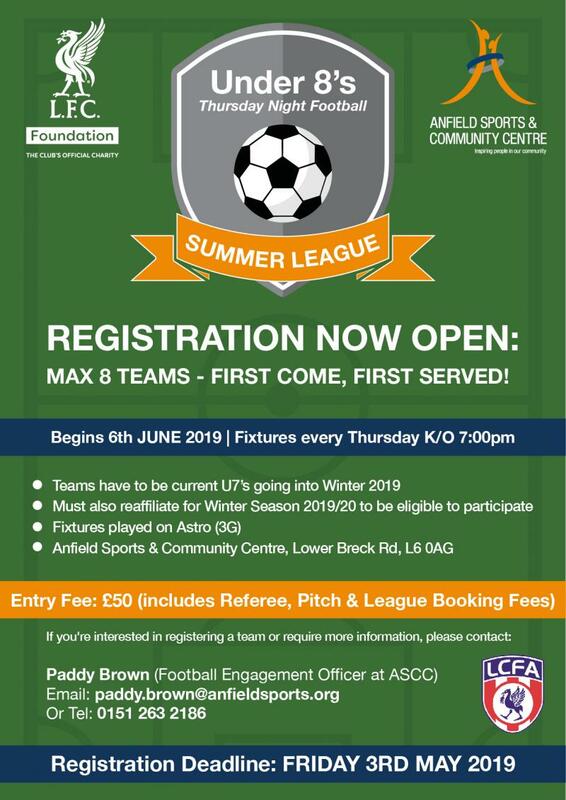 There will be a maximum of 8 teams per league, with a first come, first served registration policy. 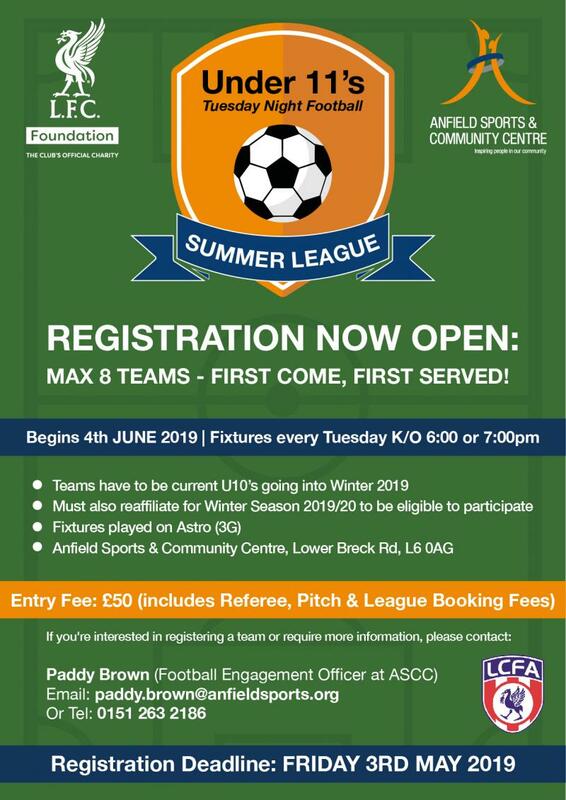 Entry Fees are £50 per team - covering Referee, Pitch and League Booking Fees.